The term podcast refers to audio or video files that are available on the internet. The word is a portmanteau or made up word combining “pod” from the popular portable music player Apple’s iPod and “cast” from broadcasting. The popularity of the iPod made it a sort of generic term for a portable music player but podcasts are not limited to Apple products, any device that can play an audio file can be used to listen to one. 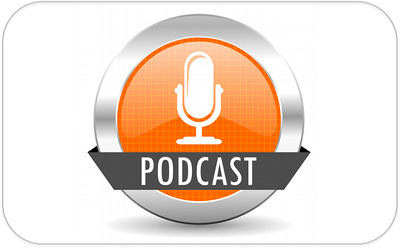 The podcast relies on syndication technology such as RSS to make the programs available to interested listeners who have subscribed to it. Rather than having to search for the latest program and download it, the consumer has signed up for something called a “feed.” This ensures that when a news article or blog post becomes available it will be sent automatically to the subscriber. In order to receive the podcast the subscriber simply needs some RSS feed reading software on their device and there are many available online with Apple iTunes being one of the most popular. Once iTunes is installed on a computer it’s easy to access the vast number of audio and video files available in the iTunes store. If someone also has mobile Apple devices such as the iPhone or iPad, then these devices can be configured to receive the podcast as well. Google Play also has a similar library available for Android users and so does Microsoft for Windows phone users. All a user needs to do is download an app and they can have all of their favourite topics available on their chosen device, up to date and ready to be used. Podcasts are rather like personal radio or television channels and the user can choose individual episodes or an entire series. In order to make a podcast all that anyone needs to do is make an audio recording or a video program and save it as an MP3 or MP4 file. A few years ago making a video was an expensive business that needed special equipment and professional help. These days, anyone with a personal computer can get some recording and video editing software and make a video really easily. Having made a video or voice recording, the podcaster needs to make it available to the public by publishing it on the World Wide Web and there are various ways to do this. Many bloggers also make their work available as podcasts, but hosting them on their own websites is not a good idea. The issue with videos is that they are big files and if thousands of people start trying to download them, this can cause a problem with bandwidth limits for some hosting providers. There are a number of companies who specialise in hosting audio and video files like Spotify or Soundcloud and they have the hardware and software necessary to deliver podcasts to large numbers of people. The podcaster can then just provide a link on their blog or personal website without incurring the cost of transferring huge amounts of data. In order to make their work available to as many people as possible they usually place them in the iTunes store and Google play store as well. The advantage of a podcast to an internet marketer is that it’s a bit like having their own advertising radio or television broadcasts delivered to an interested audience. When someone subscribes to a podcast they have already indicated that they want to listen to what the podcaster has to say so it’s a great way to make a sales pitch to them. Podcasts can be used for just about anything including training courses and lectures and many marketers use them to provide a free class in their area of expertise and then offer paid services or products at the end. Podcasts are easy to make, cheap to deliver and have the potential to reach a really large audience so it’s worth investing some time in them because they’re another useful way for internet marketers to get their message out there.